Pre-heat oven to 375 degrees. Line an 11x13 inch baking dish with foil, coat foil with cooking spray. Cut potatoes and onions into 1/2-iinch cubes. In a medium bowl mix the potatoes, onions, oil and herbs. 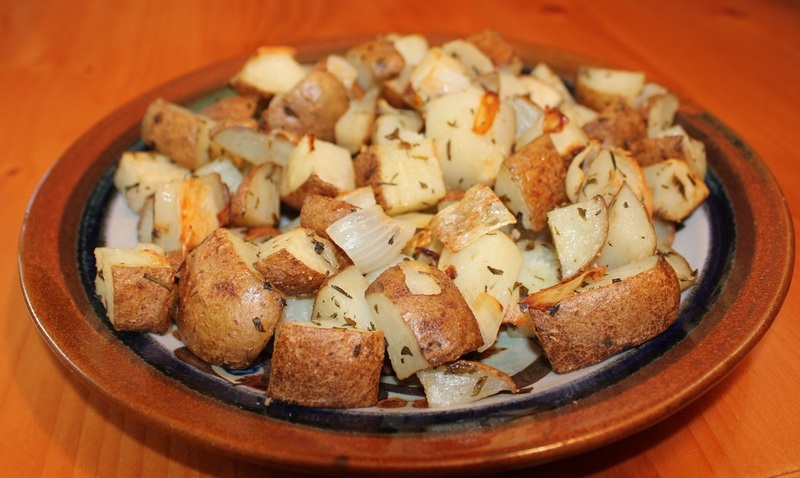 Arrange potatoes and onions on the prepared baking dish, roast for 1 hour stirring every 20 minutes.